All the things you need to do to keep your car running in winter. When winter hits, driving can be made more difficult in almost every way. As well as poor conditions and roads being harder to drive on, looking after your car can pose a challenge during the colder months. Failure to care for your car during the winter months can cause an increase in breakdowns and make driving more dangerous than it has to be. To save both time and money, follow this guide on how to best car for your vehicle in winter. During winter, small issues with you car can become large ones. If you have any small issues with your car, with the windscreen or sluggish performance, for example, it’s recommended that you get them sorted before the bad weather starts to hit. If your MOT falls in the middle of winter, consider getting your car serviced in the summer or autumn, so you’ll be ready for when the winter comes. Problems with your car can be magnified during cold weather, so don’t ignore anything that’s affecting your driving. How well your car grips on the road becomes doubly important in the winter. 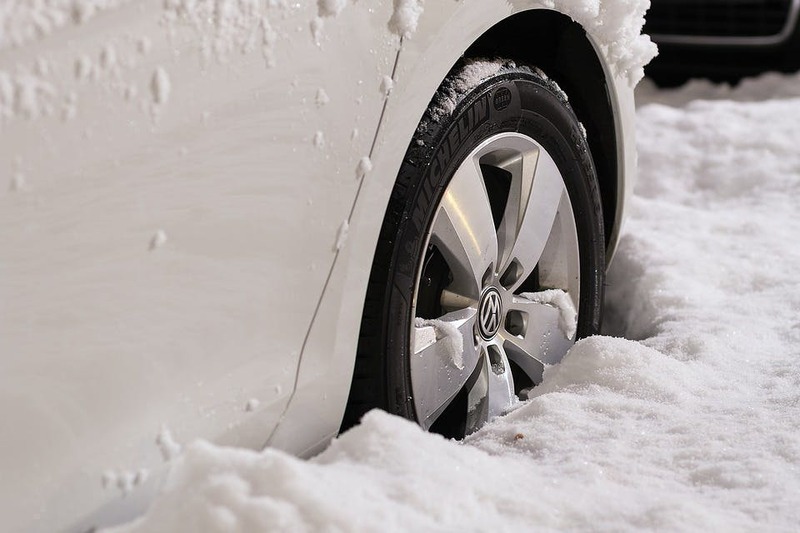 Ice and snow can affect your tyres’ grip immensely, and if your tread and tyre pressure are not up to standard, driving can become seriously dangerous. Before you head out on journey where you know you’ll be driving on icy roads, make sure you check your tyre pressure and tread. AA recommends that you have no less than 2mm of tread for winter driving, despite 1.6mm being the legal requirement. As your tread is the thing that disperses rain, ice and snow, it’s possibly the most vital part of caring for your car in the winter. Antifreeze is the coloured fluid inside your engine which prevents it from freezing in cold weather. During the winter, this is obviously an important aspect of your car to check, as too little antifreeze fluid could cause your car to stop running. You can check your antifreeze levels via a reservoir under your car’s bonnet or via a tester kit. This ideally should show the levels between maximum and minimum to avoid any potential failures. Many modern vehicles use a long-lasting solution that ensures you’ll rarely have to completely change the fluid. Viability is one of the primary concerns when driving in winter. Ice and snow can severely block your vision if there’s enough of it on your windscreen. As well as it being dangerous to drive with ice on your windscreen, police will also pull you over and potentially issue a fine if they spot you. To prevent this, make sure your windscreen wipers and heaters are both working properly, as these the main things that will keep your windscreen clear. You should also make sure that you only start driving once your car is warm enough and any ice on your windscreen is cleared. Don’t be tempted to begin your journey before it’s all thawed, as you could cause a major accident. It’s advised that drivers keep the petrol tank filled up at least halfway at all times during winter. During cold weather, moisture can form around the inside of tanks that are half empty or less, often freezing in very low temperatures. As well as potential engine problems it might cause you, it’s recommended that you keep your fuel topped up during winter as a matter of principle, as becoming stranded can be made harder to rectify if harsh weather conditions prevent breakdown services from reaching you. In winter months, you rely on your car battery more than any other time of the year. Darker days and bad weather means you’re constantly using your car’s fans, wipers and lights, often all at once. Battery’s going dead make up for around a third of all breakdown callouts during winter, so it’s important to consider it when caring for you car. You should make sure you’re not using heaters and blowers more than is necessary when driving. If you’re heating your windscreen to clear ice or condensation from it, for example, turn it off when vision is restored. You should also consider getting your car battery tested before winter, to ensure you don’t miss out on any faults. If you know you’re in need of a replacement, get it sorted before you undergo any long journeys to prevent breakdowns. An essential part of winter driving is the accessories and tools you should be carrying around with you. Don’t head off on a journey without being properly prepared for bad weather. This includes stocking up on antifreeze spray and an ice scraper, so you can ensure your vision is properly cleared before you start driving. You should also have cloths and window cleaners with you in the car, to wipe away any fog or condensation that may build up in freezing temperatures. These items are a simple and inexpensive solution to cold weather that can save you a lot of frustration in the long run.